Add some promotional color to your brand! 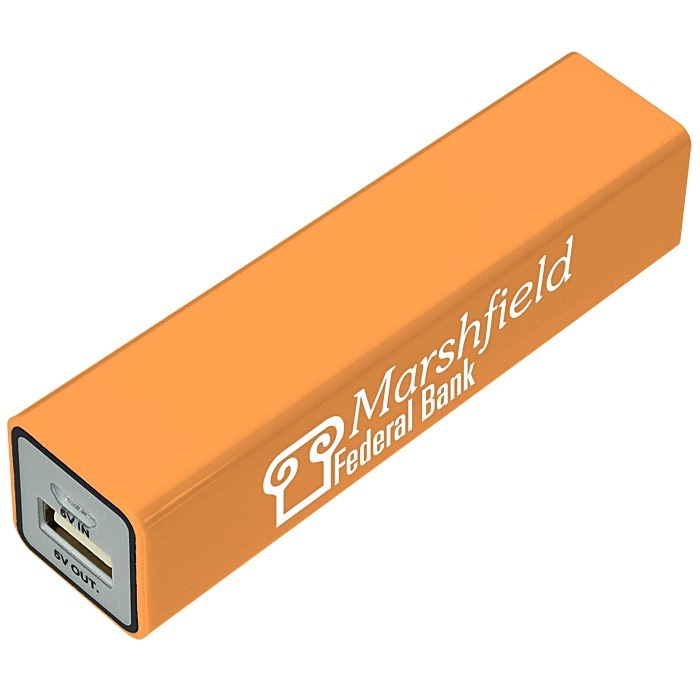 This custom plastic power bank is a convenient way to keep your mobile device’s battery charged throughout the day. 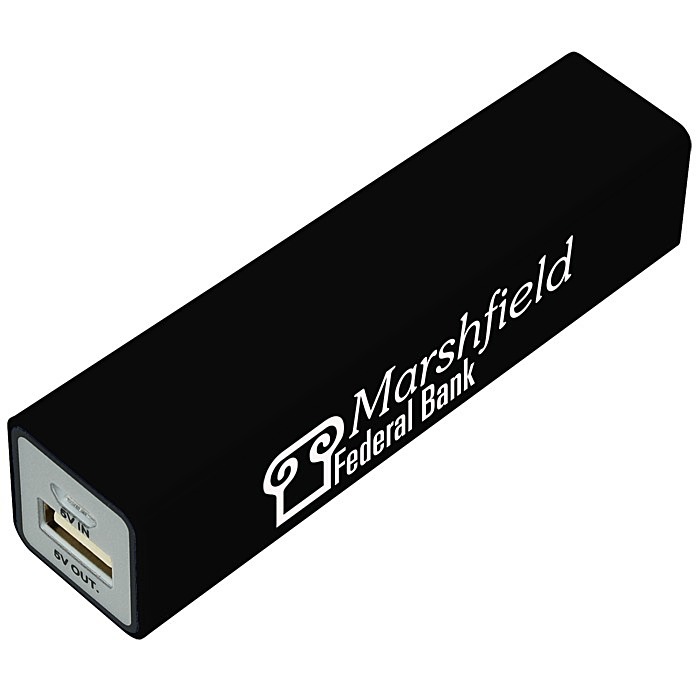 The UL Listed power bank features a 2200 mAh battery capacity and 5.0 V/1A output that is suitable for most smartphones. 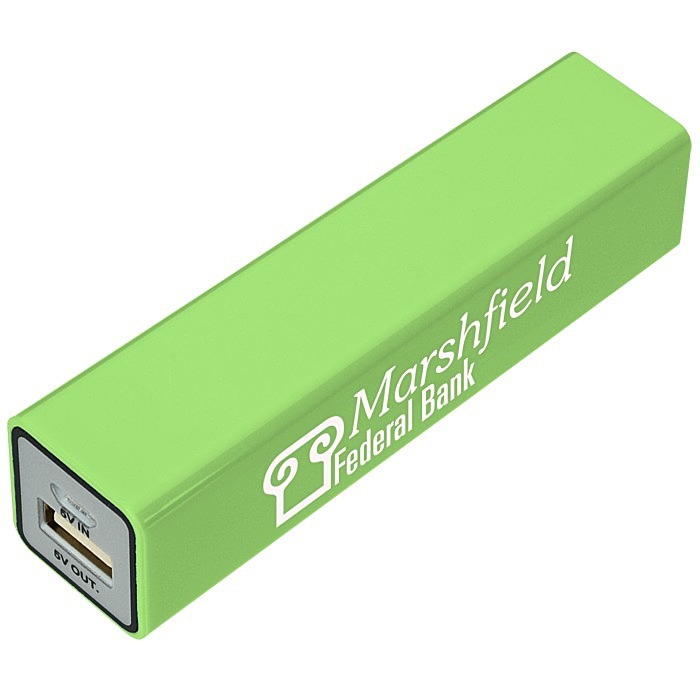 Includes a micro USB to charge the power bank's rechargeable lithium ion battery. Then use the charging cable that came with your device to charge it. Available in a selection of bright colors. Size: 7/8" x 3-3/4" x 1". 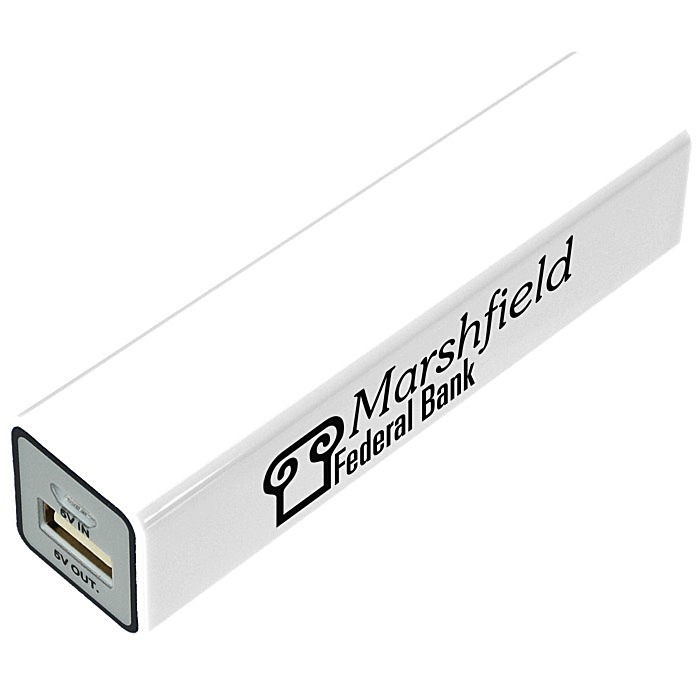 Your price includes a one-color imprint on the side of the bank.